[By Nick] Time to dig into the second jenis pint I received while on my tour of the Healthy Living Market in Saratoga. Now if you thought choosing just one flavor was difficult, choosing a second was near impossible. It was a tossup between Salty Caramel (their best seller), Brambleberry Crisp (my tour guide's favorite) and Brown Butter Almond Brittle. With my love for buttery bases, I decided to grab the latter flavor. 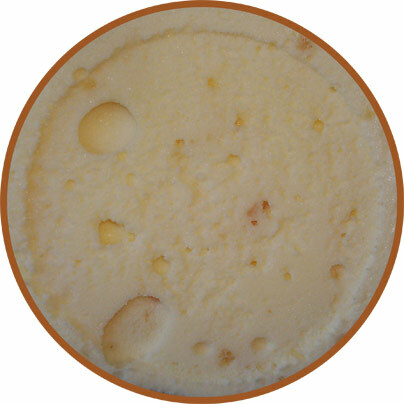 Jeni’s describes this one as “Rich browned butter ice cream and salty, crunchy almonds. Familiar and delicious.” I’ve had plenty of buttery bases but I don’t think I’ve ever had brown butter ice cream so I’m not too sure how familiar this one will be to me. Also, I’m a tad bit let down. I was expecting there to be almond brittle pieces based on the name, not just salted almonds. I guess I can’t complain though seeing as I got this $10 pint for free. Whoa, when I removed the lid, a pleasant aroma came off this pint. I don’t even know how to describe it but I want this smell turned into a candle or something among those lines. Okay, now I’m extremely excited to try this one. Digging in, the consistency of these Jeni’s flavors continues to blow me away. While their Dark Chocolate was dense and fudge like, this one is silky smooth just like a fine gelato. Like the smell, the flavor is also quite difficult to describe. 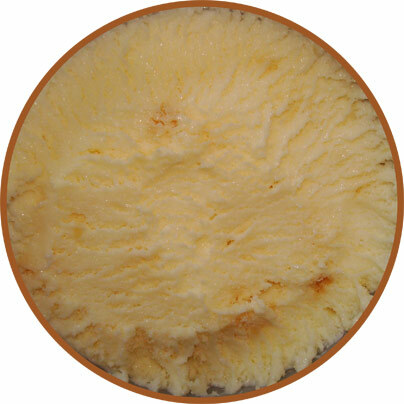 You get that butteriness you’d associate with Butter Pecan but it has more depth and sweetness to it. The folks over at Jeni’s don’t mess around when crafting the flavors of their bases. Unlike the Dark Chocolate, this one has mix-ins. The almonds add a salty bite and a fairly hard crunch to the package. They really round out the flavor profile and pulls everything together. Sadly though, the almonds aren’t as prevalent or as big I’d like. 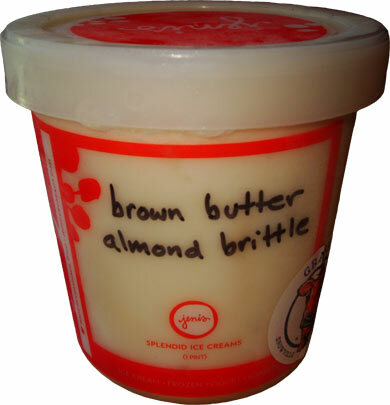 All in all though, this is another exceptional flavor from Jeni’s. If I had to choose between the two flavors I’ve tried, I’d hands down choose their Dark Chocolate. The sparse mix-ins in this flavor make it hard to say I’d repurchase since the almonds are what really make this flavor complete. Maybe I got a bum pint* on mix-ins but when people are paying $10 a pint, there’s really no room for such an error. While I could recommend anyone to try Dark Chocolate at least once, I can’t say the same for this flavor. I have to say though that this was a great experience being able to try a highly praised brand without hurting my wallet. The only problem is after trying these two flavors, I now want to try more of them. I guess those student loans can wait. So I want to hear from you guys, what flavor of Jeni’s is your favorite or which flavor would you like to see me review? If I’m going to be spending my own money, I want your input in helping me make a decision. I also wanted to thank my guide Lyndsay and Healthy Living Market once again for giving me an awesome tour and letting me try out these flavors! Buy Again? Not at $10 a pint, that’s for sure. *Note: we have heard that some people have had good luck with this flavor (mix-in wise). If you've had it, whether chock full or not, let us know too! Are you sure it's always $10 a pint? That's a lot of money for a pint of ice cream. If so, I think I would buy this once to see what it's like and then never buy it again on principle. There is no pint of ice cream that is truly worth $10, just like there is no regular-sized steak (no matter how well-prepared) that is truly worth more than forty-something dollars. The lowest price you can pay for a near-perfect iteration of any particular item is its highest potential monetary value. Turns out I work up the road from that store...and the hotel im at actually sells Jenis in pints and single serve containers! I may have to spring for one but that damn price tag!! @Mhann: Yep it's normally $9.99 at that store and online they're $12 a pint not even factoring in shipping. I would pass on this one and go with the Dark Chocolate flavor. @Mitch: What hotel? Like I said to Mhann, I'd pass on this one and go with the Dark Chocolate flavor I reviewed. I'd also recommend checking out that store though, there's a lot of awesome food products. I would love to read a review on the Salty Caramel! If not for the price tag I would try it myself. The pints go for $12.00 on the website. I will continue to live vicariously through you! @Anon: I've heard bad things about their Salty Caramel and my guide even steered me away from it. She described it as bitter and almost coffee like. If I could score it for free I'd try it but at $10 I'll likely end up passing on it. The salty caramel is very 'burnt' caramel flavor, so if that is not your cup of tea, you wouldnt like it. @Nick Rovo -Holy shyttt dude had no clue you were a ice cream fanatic. Good post broski. @Mitch I lol'd when I'm just browsing in here and I see you commented. Getting the Stewart's Crumbs along the Mohawk tonight! @Ibagoalie: Yeah, I don't think I'd be willing to spend $10 on something that I'm not so certain on. Nick, Agree with the comment that the salty caramel has a coffee element to it, and is a very dark caramel. This to me added depth of flavor, and I am not personally a coffee drinker FWIW. Highly recommend Salty Caramel (if you haven't tried it already)! Elliot, but is it worth the >$10 price tag? There's only so much a base only flavor can be. With all these salted caramel flavors with truffles and other mix-ins, I'm not sure I could justify spending that much. I mean I wouldn't pay that much for G.S. Gelato's version and that stuff is excellent. Oh I love the Brown Butter Almond ice cream. It's my favorite. I don't recall that it doesn't have many almonds but I love this flavor. I would have to agree that the Salty Caramel is just ok.